Stay Safe from Ticks - Yes Pest Pros, Inc. Stay Safe from Ticks - Yes Pest Pros, Inc.
Ticks are the bane of wild animals across the globe. 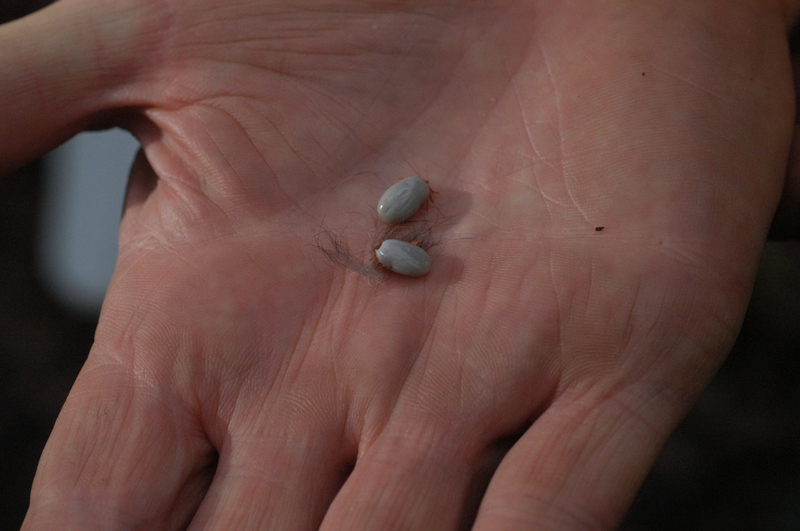 Too many ticks on an animal could actually kill it. These nasty little buggers exist just about everywhere, and here in Indiana they lurk in the grass, the trees, and wait for an opportunity to drop down and start sucking blood from humans and animals alike. What makes ticks even worse is their ability to transmit disease. They are difficult to remove once latched on, and if not done properly, can lead to infections. Ticks are hard to find when they get onto pets as well, because the pet’s fur can make them difficult to see. Once spring rolls around, it is time to protect everyone against ticks. Ticks will hide in grass as well as in trees where they can actually drop down on unsuspecting creatures. Some methods you can use to limit their habitat is simple yard grooming. Cut down low hanging branches and mow the lawn so it is relatively short. You can also cut away at shrubbery or thick growth where pets may like to explore and children play. Ticks can also travel in via other animals. Rabbits, squirrels, and even birds can all carry ticks from one location to another. While you can’t keep many of these animals out of your yard at all times, if you do notice something such as a few rabbits making a home in your yard, it may be wise to move them out. When it comes to pets, make sure that they have protection against ticks, either through over the counter supplies or obtaining tick and flea guards through your veterinarian. For additional help, it is best to bring in residential or commercial pest control. They know where ticks are likely to hide and lurk, and will use products that are specially designed to kill ticks while still being as environmentally friendly as possible. It’s all about smart application and treating where ticks are rather than using a blanket approach and hoping it works. It’s great to know a company has years of pest extermination experience. Make sure to call the right people when it comes to Elkhart tick pest control so you no longer have to worry about ticks. With their numbers gone or seriously diminished, you can feel better and cruise through the spring and summer months tick-free.